Lost In Time is the third book in an absorbing series of paranormal romance time travel novels. 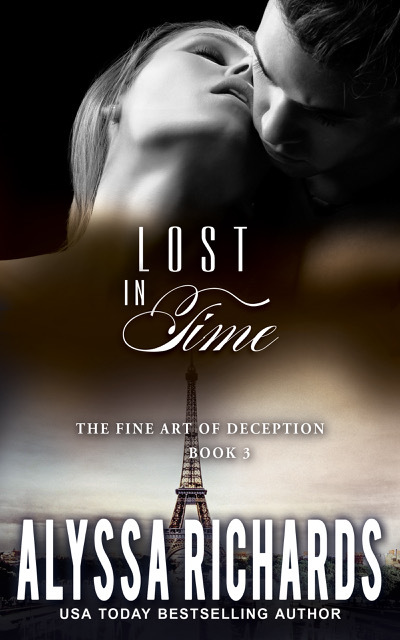 If you like museum capers, psychic powers, time travel and steamy romance, then you’ll love Alyssa Richards’ thrilling conclusion to the Fine Art of Deception Series. “Its a riveting story, full of surprises. The last quarter is non stop action it feels, with things looking positive, then its all turned around. There’s several different plotlines all coming to a head at the same time, and its almost breathless the way I was speed reading through full of excitement, happy one moment and then down when it all went wrong once more. Filed Under: Books Tagged With: Kindle Unlimited! Adeline “Addie” Montgomery has finally found her soulmate in Blake Greenwood. As the forgery trial begins for her former boss, Otto, her happily-ever-after seems to be taking shape. But when Otto puts everyone she loves back in danger, Addie must look to the past to make her future possible. 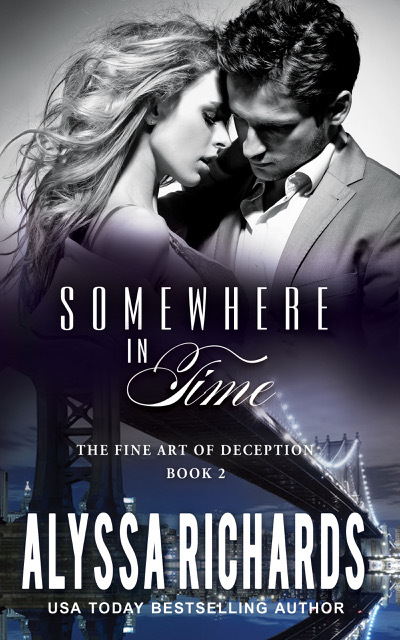 Somewhere in Time is the second book in the Fine Art of Deception series, a set of paranormal romance mystery novels. If you like delicious plot twists, alternate histories, and well-executed time travel, then you’ll love Alyssa Richards’ can’t-miss series. Mason and Layla have waited a long time to be together, but the twisted truth of their past could ruin everything. Layla’s late husband left her homeless, broke, and with two young girls to care for. When she’s offered a caretaker position at her old manor home, she chooses to overlook the hauntings… and the spot where her husband was killed. When a series of strange happenings bring them together, Layla must tap into the manor’s otherworldly realm to protect them. Mason may be skeptical, but will he believe Layla when she reveals the twisted truth about their past? A Murder at Alcott Manor is the second standalone book in a series of gripping romantic suspense novels. If you like contemporary gothic settings, supernatural thrillers, and passionate romance, then you’ll love Alyssa Richards’ haunting tale. 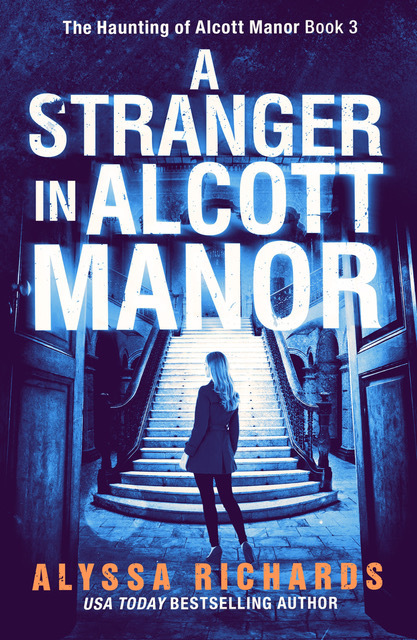 Buy A Murder at Alcott Manor to step into the supernatural today! 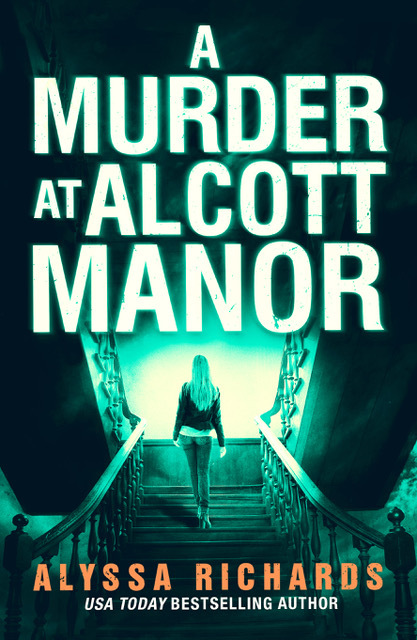 “A Murder at Alcott Manor” is the amazing second entry in a series that keeps getting better with each book. It’s not necessary to have read the first book to enjoy this one. 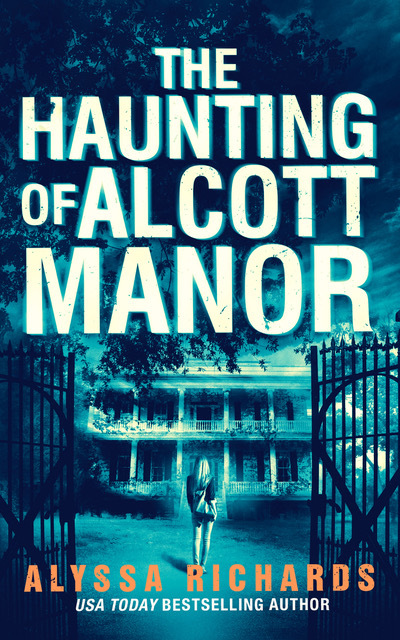 Each can be read independently, but to enhance the ghostly and shivery delights that are to be found at Alcott Manor, you’ll want to read both books. And I would recommend you do so as soon as possible. This book contains Layla’s story and suffice it to say, this haunting will make you want to go there and vanquish the ghost yourself. Although you won’t want to do it alone. There’s atmosphere galore and it gave me chills to discover that some hauntings can do real harm and become all too real. “Excellent Gothic Suspense–Don’t Miss it. Having read Alyssa Richards other books, I knew I was in for a treat, even though this was a slightly different genre. And gothic suspense being one of my absolute favorites, I was extremely psyched to read this book. Fortunately, everything that I anticipated about how good this book would be, and how much I would enjoy it, came true.